Seamen, during your call at Marseilles, the AMAM, (Marseilles Association for the Welcoming of sailors) offers its services in its seamen’s club and each afternoon visits the ships that arrived in the port. 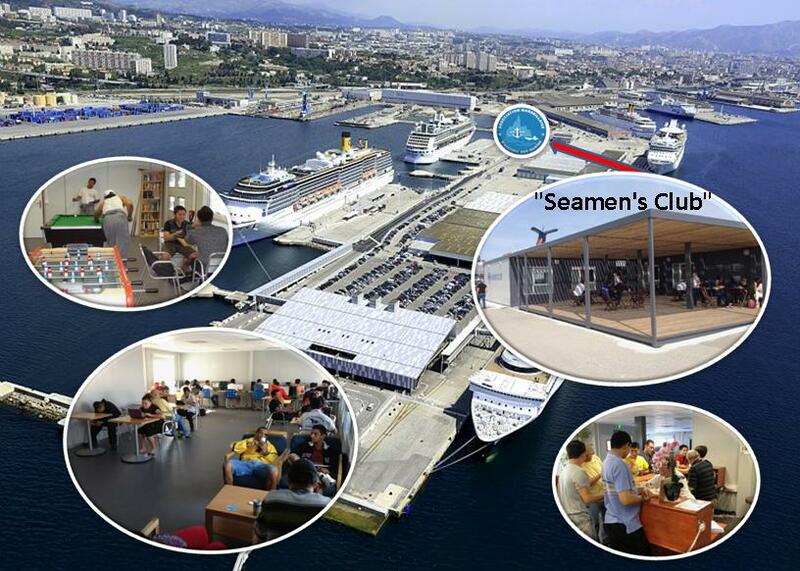 To download a presentation of Marseille Seamen’s Club, clic here . Every time there is a cruise ship, it is open from 10 am till one hour before the last ship sails. This other club used to be part of the Hotel « Les Gens de Mer ». Due to the closure of this hotel, the activities of this Seamen’s Club have now been transfered to the Cruise ship terminal Seamen’s Club. From Monday to Friday afternoons, AMAM volonteers come to meet you on board. They can sell you phone cards and transmit your mail. If you happen to know that a crew member is in hospital in Marseilles, please inform us by calling 04 91 90 47 25 so that someone from the association can go and visit him.